W123 230E small-engined beautiful Benz. When less is more. 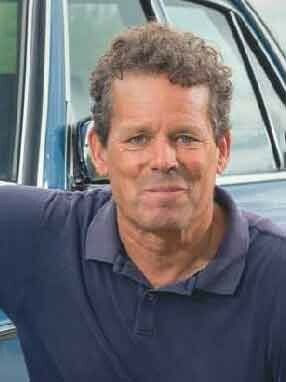 Piers Richings is enjoying the poke of his immaculate W123’s 2.3-litre lump after the many years he spent driving V8s. Words Dan Furr. Photography Dan Sherwood. His fondness for the V8 powerplants stuffed beneath the long bonnets of retro rides can be traced back to his experiences riding around in the 300 SEL 6.3 his father owned four decades ago. Originally a private project by Mercedes engineer, Erich Waxenberger, the model came about following an idea to lift the powerful M100 engine from the super-luxury 600 and stuff it into the front of an S-Class. The biggest engine visitors to Mercedes showrooms could order with their W109s at the time was an inline-six, but amazed at Waxenberger’s achievement at turning the S-Class into a sports car beater, factory bosses put the Frankenstein-spec four-wheeler into production, revealing it at the 1968 Geneva Motor Show. 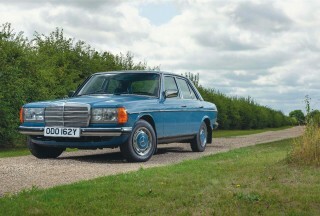 The resulting 300 SEL 6.3 W109 may have weighed almost two tonnes, but the fuel injected four-door travelled at high speed with superior levels of comfort, despatching a rapid sprint to 62mph from rest in under 6.5 seconds. The car maxed out at close to 137mph. “Trips out in my dad’s Mercedes were a big thrill for the fifteen-year-old me!” beams Piers. “At the time of its release, the 300 SEL 6.3 W109 (W108) was the world’s fastest four-door car. 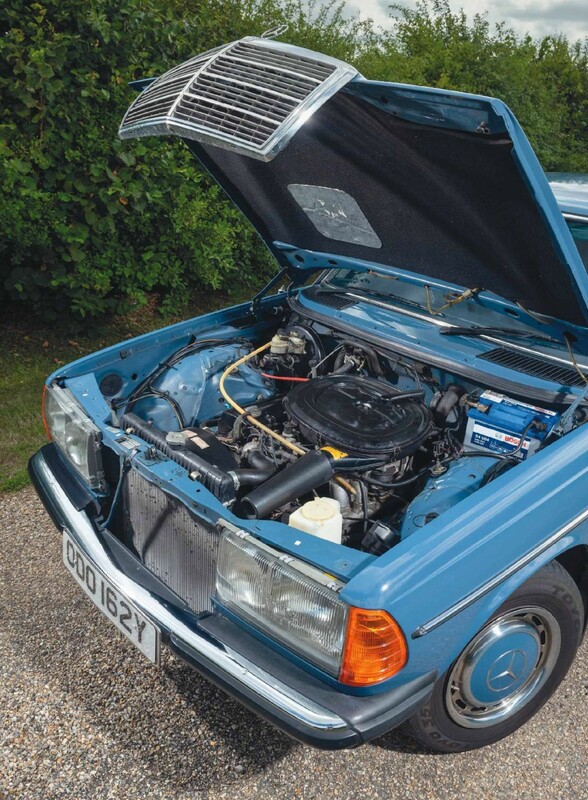 It’s an impressive machine with an amazing engine, one which left a lasting impression on my young mind.” Strange, then, he should choose to buy a W123 powered by one of the range’s smaller powerplants. “I enjoyed the wonderful waft delivered by the five-litre V8s in my W126s, but I liked the idea of trying a Mercedes with a more compact engine,” continues the resident of North Norfolk. He struck lucky when he spotted the 1983 Labrador Blau 230E seen here advertised for sale three years ago. In a standard state of tune, boasting original paintwork, immaculate cabin furniture, little more than 70k miles registered on its odometer and still wearing its original dealer-issue registration plates, the modern classic was everything he wished for. Well, other than a staggeringly tall ride height. “The car was riding on heavy duty dampers more in keeping with what you’d fit to a motor you’re about to put to work as a towing vehicle! My first job was to fit a set of standard shocks and springs.” W123 service and repair specialist, Mark Cosovich (w123world.com), was only too happy to take delivery of the offending parts thereafter. The more you look around the car, the more you’re amazed at the preservation of its originality. We spot a Pioneer cassette-radio that’s managed to avoid being replaced with a newer head unit. The number-etched factory glass remains present and correct. 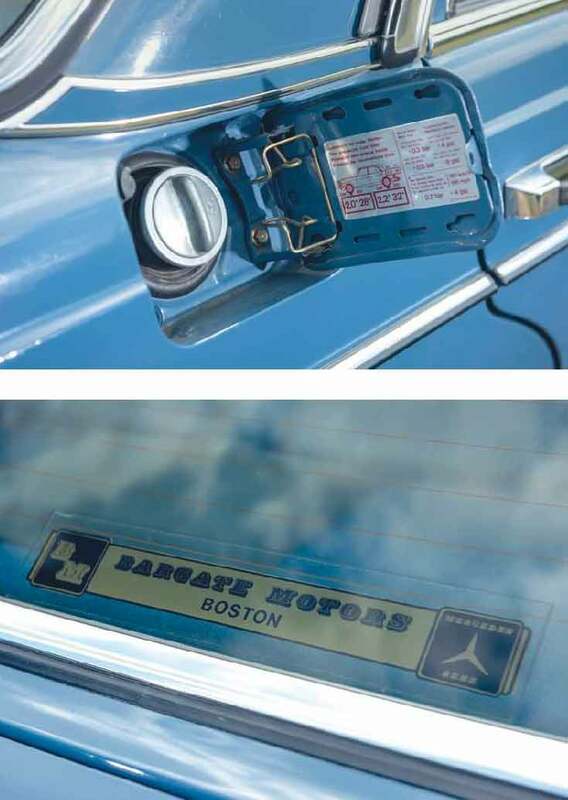 Bargate Motors (now Mercedes-Benz of Boston) main dealer window graphics stay stuck in the same place they were positioned thirty-five years ago. 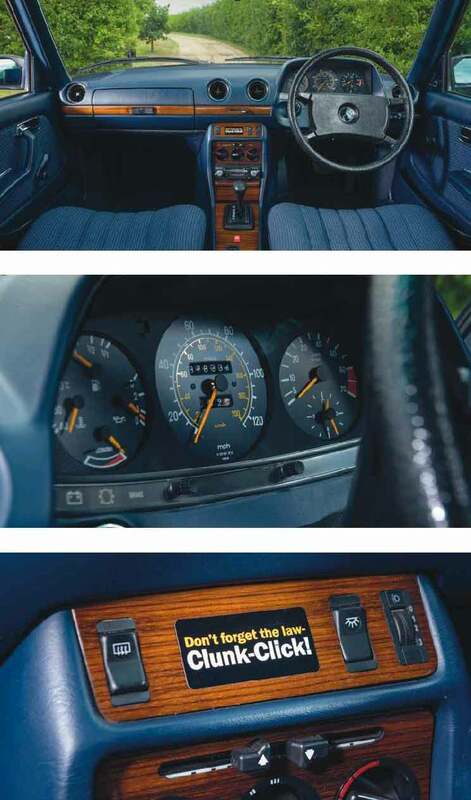 Then there’s the ‘Clunk-Click’ sticker adhered to the dash. Free of any wear, tear or mucky paw prints, the striking infographic marked the beginning of UK legislation forcing compulsory seatbelt use in the front of a vehicle from 31st January 1983 onwards, a move designed to cut carnage on British roads. The engine is in perfect working order and benefits from easy breathing thanks to a free-flowing stainless steel exhaust system. Toyo 350 177/80 tyres wrapped around the factory fourteens provide a low-noise, high-comfort ride, while Richbrook magnetic tyre valve caps hint at who owns this beautiful Benz. “I’ve thoroughly enjoyed the last three years I’ve spent with the car, but I’m now on the lookout for its replacement,” announces Piers when we ask what’s next for his terrific 230E. “I’m on the hunt for another V8!” he roars, before revealing his plan to track down and purchase a pristine example of a W124 400E. 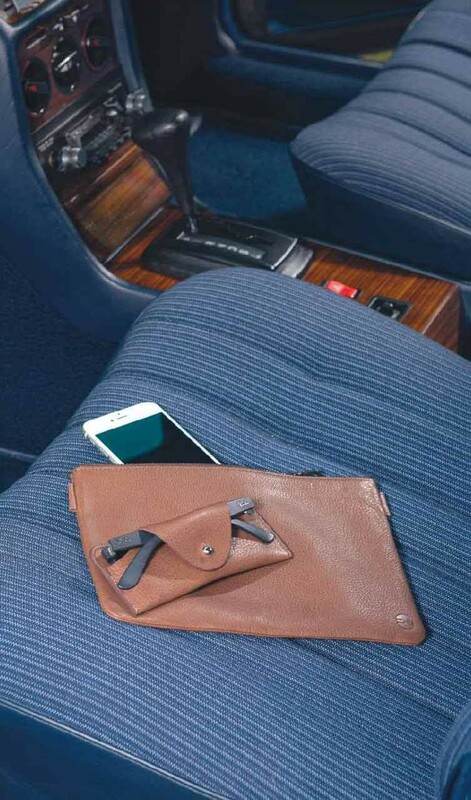 Right Richings Greetham automotive lifestyle accessories are the perfect match for this beautiful W123. 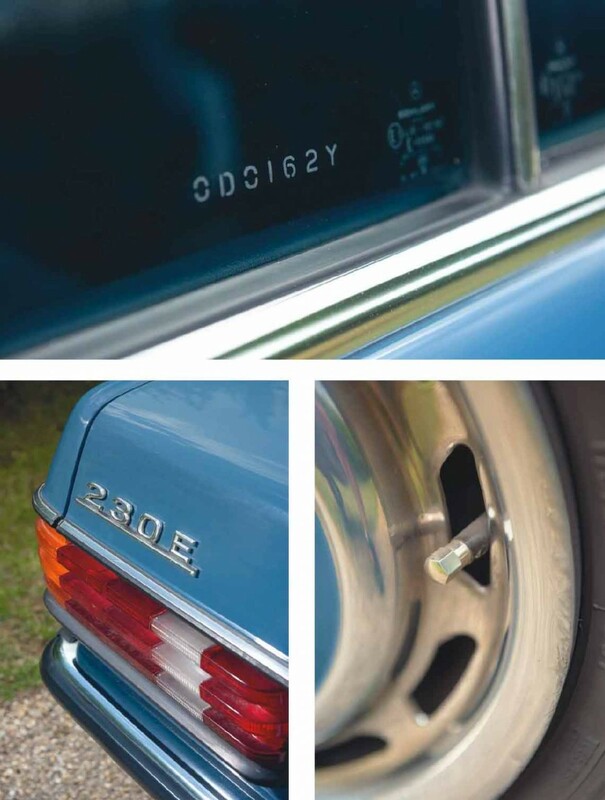 Left We have more than a feeling this kind of detail on a W123 is considered highly desirable Facing page Richbrook magnetic tyre valve caps were a 'must have' accessory! 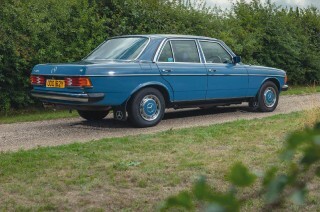 Best thing about your W123 230E I love the ‘clunk’ sound of its doors closing!